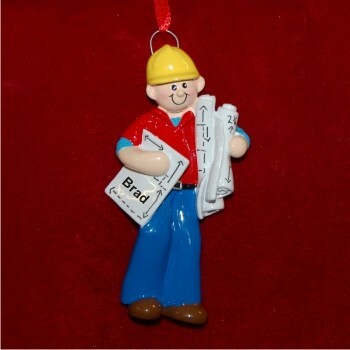 Arms full of blueprints as he plans to get a project started, the construction dude personalized Christmas ornament makes a memorable gift for contractors, surveyors or those in other building professions. The design is handsome and well done; the personalization includes his name and they year, at your option, painted on by hand in a handsome font for a truly custom ornament. 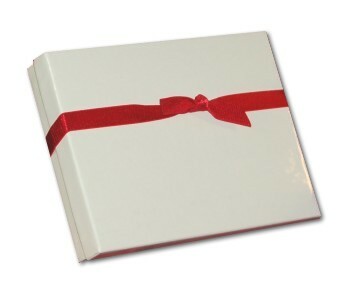 These professionals ornaments personalized for the recipient arrive in our plush, good-looking velvet gift pouch that works well for storage too. Let him know you thinks he's doing a terrific job with the construction supervisor personalized Christmas ornament from Russell Rhodes.